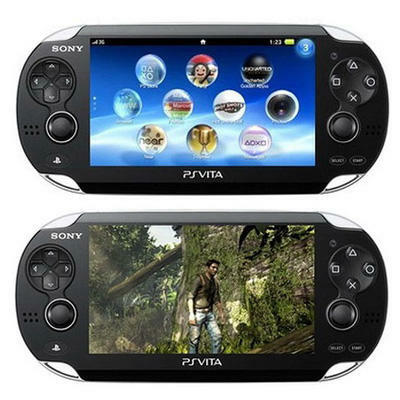 Earlier this week, Sony revealed a full roster of technical specifications for their hotly anticipated, upcoming PS Vita. Most of the list was typical, to-be-expected fodder. But the glaring exception that grabbed everyone's attention was the device's battery life. It's on par with the Nintendo 3DS' 3-5 hour curve. We hated it on that device, we'll likely hate it on this one. But Sony has made it a priority to point out that gamers longing to rock out in longer stints without a charge have another option. IGN spoke with SCEA Worldwide Studios President Shuhei Yoshida about the external battery add-on explicitly during the Tokyo Game Show. Here's what Yoshida had to say. …So if you are flying from New York to San Francisco, or vice versa, you have no concerns if you have an additional, external battery." We don't know how much extra life this peripheral will add, or how much it will cost. For those with the extra scratch to make this external battery pack a viable option, I salute you. But I can't help feeling a little frustrated. I wrote up a quick story yesterday that suggested that Sony has entered into the process of nickel-and-diming its fans. I connected that idea to the announced absence of solid internal memory, and that Sony will offer pricey, proprietary expansions at launch. You want more memory? Good, you'll have to buy it. Is this external battery pack not in the same vein? You want more battery life? Good, you'll have to buy it. I want to love the PS Vita. I want it to be like bringing my PlayStation 3 onto and airplane. But it looks like making that happen will cost me a whole heck of a lot more than the initial $250 asking price.